Category Archives: "Fly Halo News"
The latest Team Fly Halo Updates. We’ll let you know whats new with us, the latest products and where were training next! You asked, we deliver. Team Fly Halo will begin guided paramotor tours starting December of 2014 with an invite-only tour to Cabo San Lucas, Mexico. Enjoy six days of flying the beaches and mountains of the southern Baja peninsula. Lodging, guiding, activities, and ferrying of equipment from the US is included in the tour price. 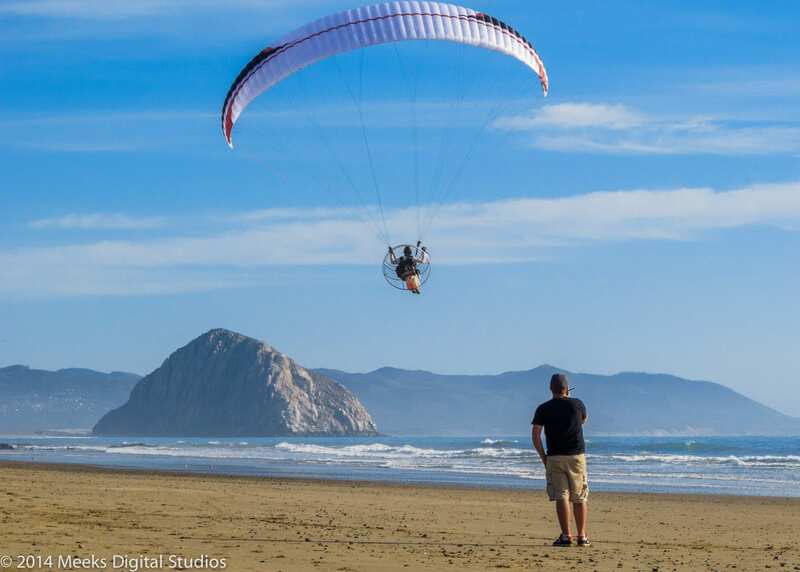 If a member prefers to rent a paramotor for the trip, we gotcha covered on that too. Team Fly Halo members get first shot at a slot. If you didn’t get an invite, but are interested in joining – fill out the contact form below to tell us about you. Invitations will include all pertinent details. The first tour runs December 7th – 14th. Cost for the tour is $2200. This includes ferrying of your equipment from Southern California, lodging, guiding, in-and-around travel, one catered meal per day, extra-curricular activities through the week (fishing, whale-watching), an unforgettable experience, and a $10 gift card to In-n-Out burger. 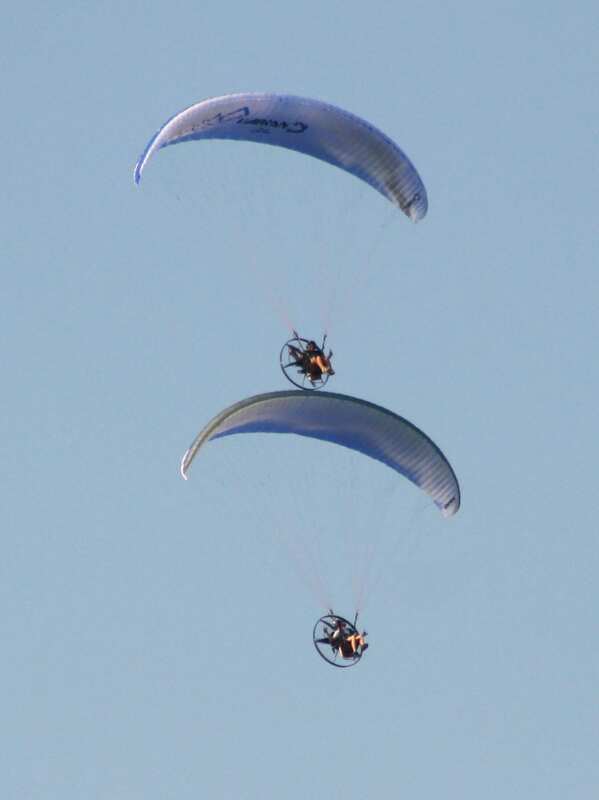 For members that would prefer to rent a paramotor vs. ship theirs to SoCal, contact us to make arrangements and check additional expense. Stay tuned to our newsletter and Facebook event for more details. Later on this month, Team Fly Halo will be joined by Miroslav Svec, the lead designer of SCOUT and Javi Malaguita for a 2 week tour of the Southwestern USA. We will be hitting up some breathtaking spots like MOAB, Monument Valley, the Grand Canyon and more (top secret) to capture some amazing footage. 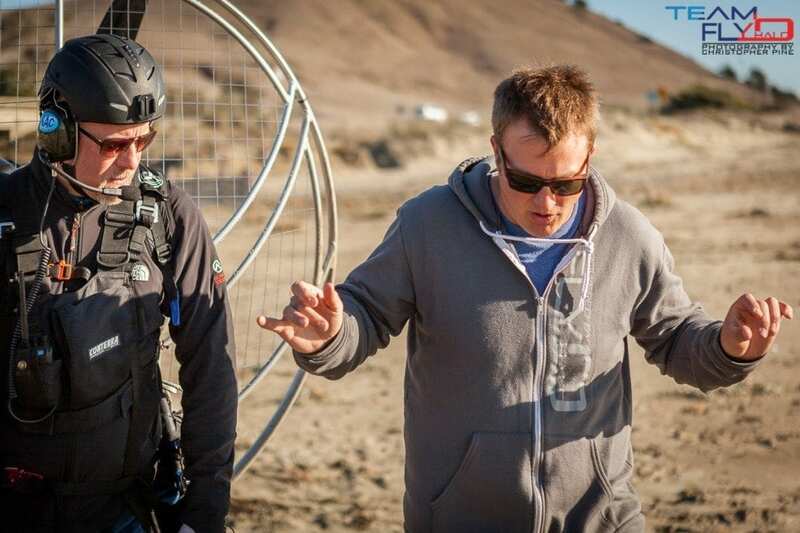 We will be joined by Ryan Southwell and company who will be fully immersed in the adventure with Octocopters and more. We plan on going big with this filming project! Can you imagine it now? Infinity tumbling insanity with Javi, amazing scenery, endless shenanigans, awesome people. We are really looking forward to it! The Team Fly Halo tour kicks off in 2 weeks! From August 22nd-September 3rd, Team Fly Halo will still be in full operation for sales and service but due to limited cell availability – we may be a little slower to respond than usual. 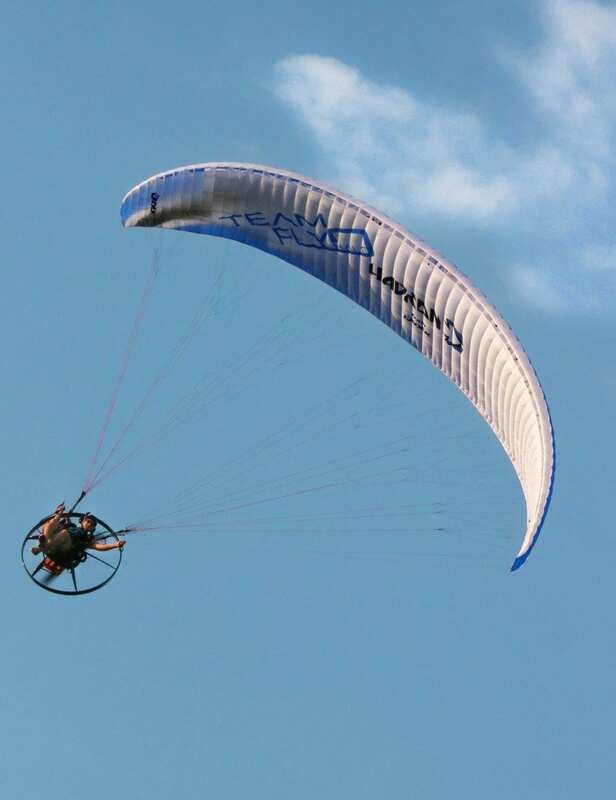 The Niviuk Kougar 2 paramotor wing landed in the USA last week and we’ve been thrilled to say the least. Unfortunately, weather has not been cooperating with us but we did manage to get in a short 20 minute flight to capture some rather stunning footage. Thanks to James Allred for filming and editing, you make us look good buddy! 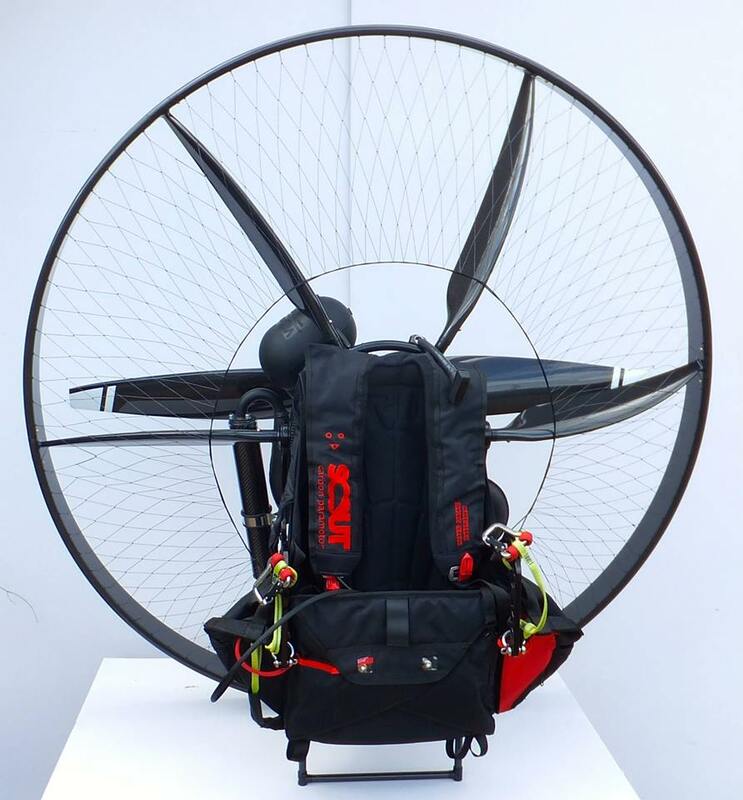 SCOUT Paramotors has just passed a pretty significant milestone after completing EN testing on the SCOUT harness. 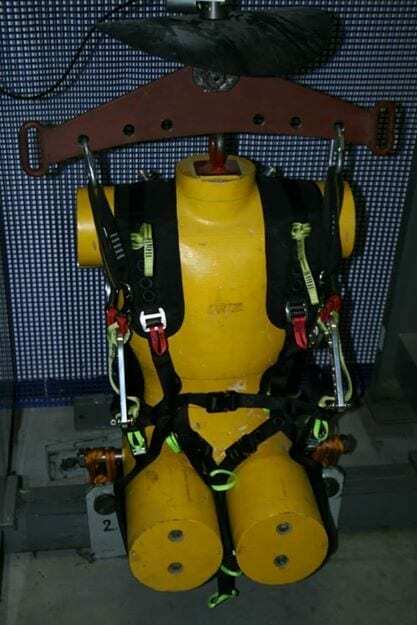 The load testing surpassed 5,000 pounds of pressure on the harness which is the equivalent to 15g’s! The SCOUT harness is certified according to European Standard EN 1651 to 5,058.2025 pounds. What does that even mean? Pilots can fly the SCOUT with the comfort of knowing they can throw whatever they want at the SCOUT harness in an aerial assault of acro. The SCOUT harness is up to the task. A pilot with the in flight weight of 330 pounds (150KG) can pull a whopping 15G’s and maintain certification. The testing was done with the SCOUT swing arms and hinge system in place to ensure the SCOUT under load will handle extreme G forces. At that amount of G force, they would be long passed out before any structural failures! Congratulations to the SCOUT team in Slovakia as well as the gifted harness design company that helped make this a reality! Nothing but good vibes at this years Endless Foot Drag Fly In. Seriously, it was a great time had by all. Britton Shaw of River Valley Paragliding was quite the host and even gave Jeff some delicious honey buns. What a nice guy! Every single session we spent on the sod farm was flyable and pilots took full advantage. 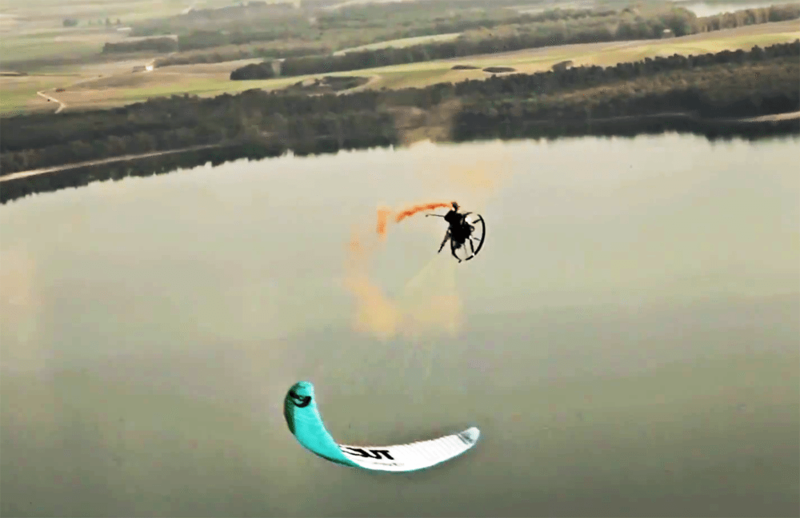 We had a large number of pilots test fly the SCOUT paramotor and had great feedback from all. Thanks again River Valley Paragliding and Britton Shaw for being such great hosts.